Visual codes, such as the play of shadows and vertically-framed scenes, were used by Fritz Lang to shift the focus onto the skyscrapers and were incorporated later into Film Noir as stylistic elements in their own right. Many motion pictures from the Film Noir movement draw thematically on Expressionist interpretations of cities, which then acts as a psychology sub-structure for the broken anti-heroes of the American post-war period (see Filmportal.de). 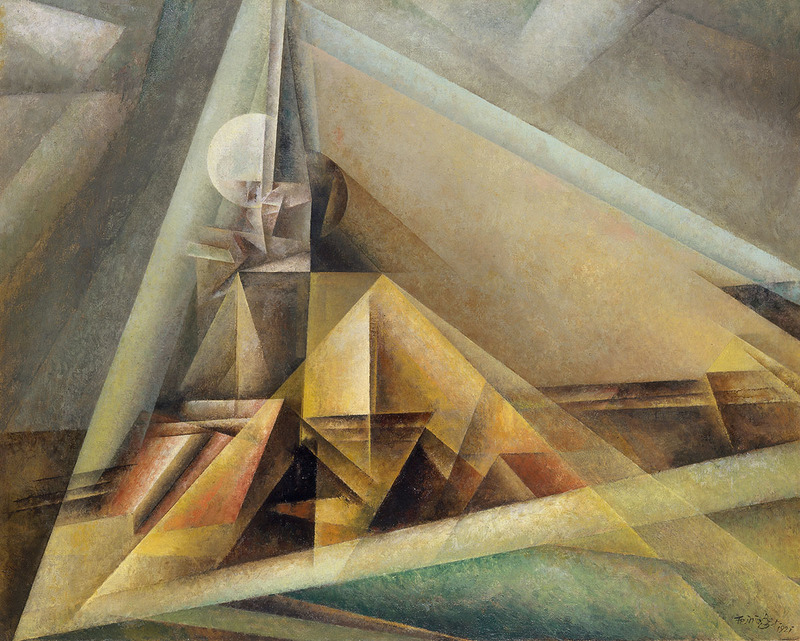 Stylistically, the Babel sequence in Metropolis resembles two paintings created by Feininger. Villa on the Shore IV painted in 1918 in Heringsdorf, Germany. 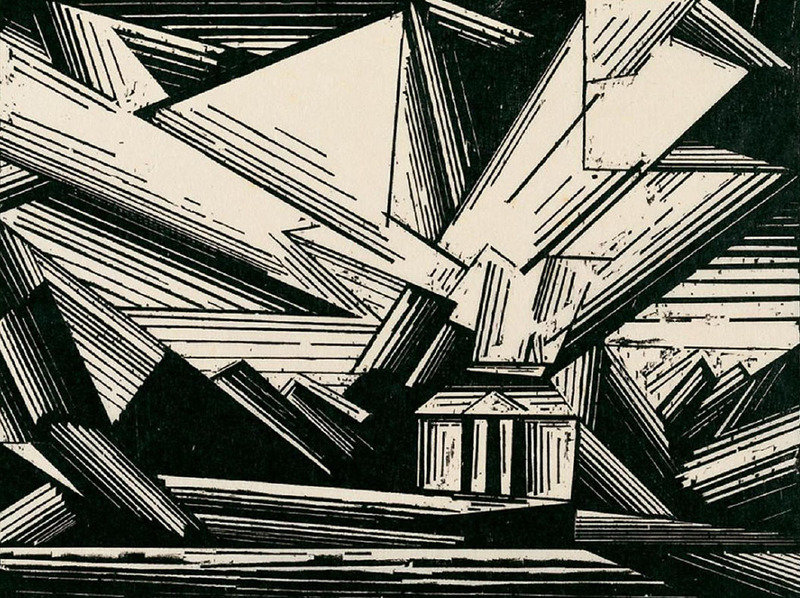 This woodcut, influenced by Expressionism, reduces the motif to an abstract geometric composition in which only the villa with its horizontal and vertical elements has a sense of a material presence. On the other hand, the foreground and, above all the sky, make use of the interplay of diagonal lines and expanses in black and white to achieve its dynamic impact. The coloration of the Metropolis sequence is based on Gaberndorf I (1921). Featuring stylistic traits of the Heringsdorf woodcuts, this oil painting was also influenced by Cubism. The colours chosen by Feininger were earthy tones in a variety of nuances in saturation. The radial arrangement of the picture’s geometry shows light as if it were being passed through a prism. Töteberg, Michael: Fritz Lang – mit Selbstzeugnissen und Bilddokumenten. Reinbek 1989, 53-61. Filmportal.de: Fritz Langs „Metropolis“ im Wandel der Zeit. O.D. McElligott, Anthony: The German Urban Experience, 1900-1945: Modernity and Crisis. London / New York 2001. 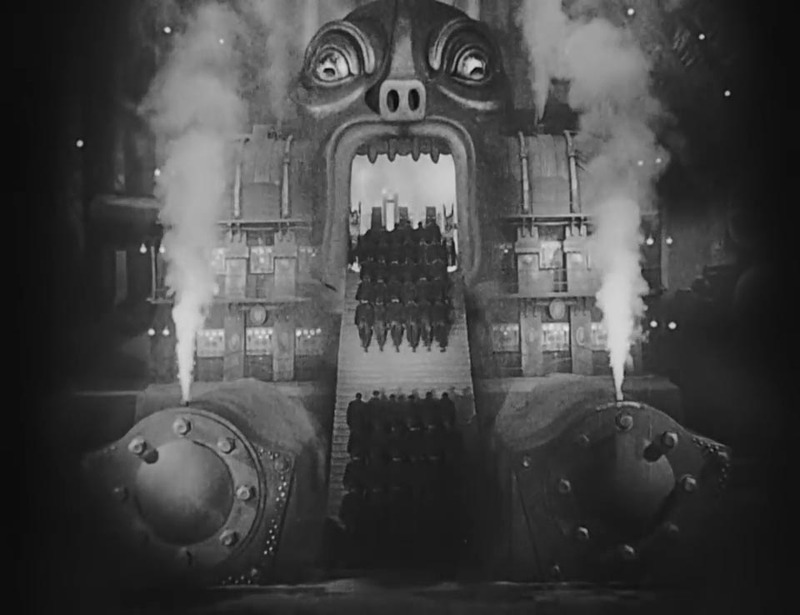 Benson, Timothy: Metropolis, Dr. Caligari, and the Aesthetics of Expressionist Cinema. Los Angeles 2012.